Using the MozBar guide as an example, we tried a few different things to improve the CTR over a period of 12 months. We added more content, we updated the meta tags, we added jump links. 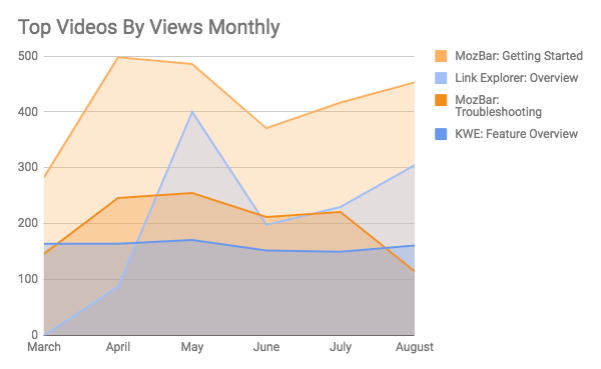 Around 8 weeks after the guide was made more relevant and specific to searchers’ troubleshooting queries, we saw a massive uptick in traffic for that MozBar page, with pageviews increasing from around ~2.5k per month to ~10k between February 2018 and July 2018. Traffic from organic searches doubled. 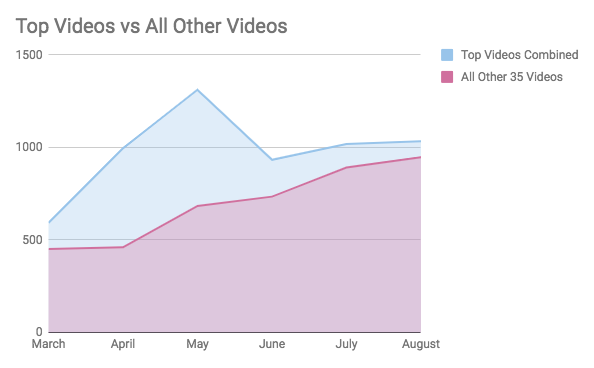 What we’re seeing in the chart above is a steady and consistent increase in traffic for a few months. In fact, we started performing too well, ranking for more difficult, higher-volume keywords. This wasn’t exactly what we wanted to achieve, as the content wasn’t relevant to people searching for help for any old plugin. As a result, we’re seeing a drop in August. 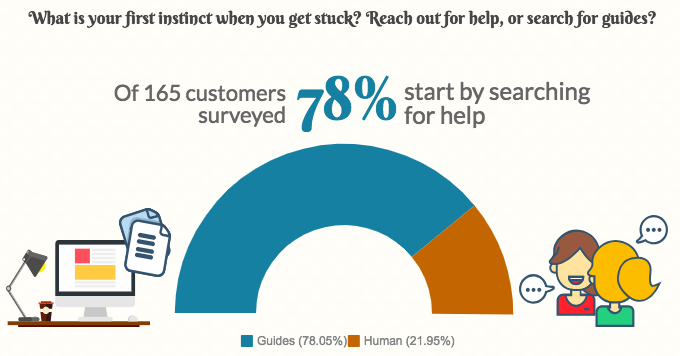 There’s a sweet spot for traffic to troubleshooting guides. You want to help people searching for answers without ranking for more generic terms that aren’t relevant, which leads us to searcher intent. While it may be nice to think our guide can rank for “SEO toolbar for chrome” (which we did for a while), we already have a nice landing page for MozBar that was optimized for that search. It’s more useful for our customers and our help team for this page to rank for something like “why wont moz chrome plugin work.” Though this keyword has slightly fewer searches, there we are in the top spot consistently week after week, ready to help. Most SEO work doesn’t have an immediate impact, so track when you’ve made changes and monitor your traffic to draw correlations between visitors arriving on your guides and the changes you’ve made. Try testing updates on a portion of pages and tracking results. Then rolling out updates to the rest of your pages. We’ve got all the things we want in a rich snippet: the first 4 steps with the “more items” link (hello, CTR! ), a link to the article, and a screenshot of the video. 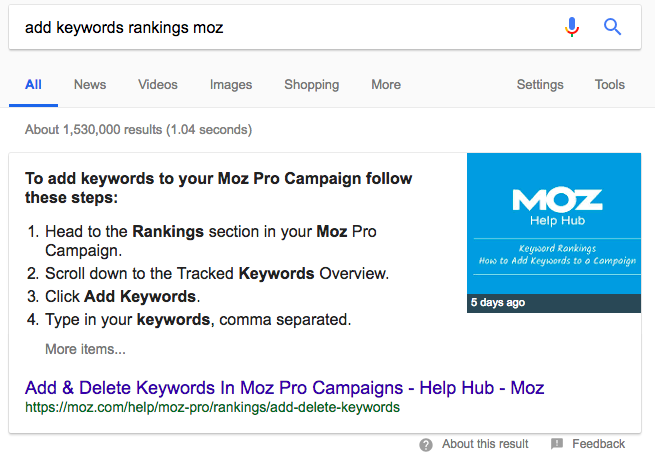 On one hand, the image of the video looks kind of strange, but it also clearly labels it as a Moz guide, which could prove to be rather tempting for people clicking through from the results. We’ll watch how this performs over time to figure out if we can improve on it in future. By clearly arranging your guide’s content into steps or bullet points, you’re improving the readability for human visitors and for search engines, who may just take it and use it in a rich snippet. The easier it is for people to comprehend and follow the steps of a process, the more likely they are to succeed — and that must feel significantly better than wading through a wall of text. Related Articles help people to continue to self-serve, honing in on more specific guides. I’m not saying that you’re going to buckle down and binge-read ALL the Moz help guides — I know it’s not exactly Netflix. 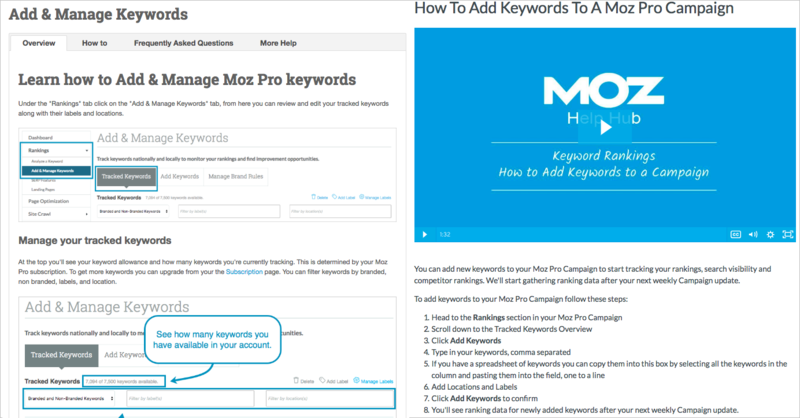 But you never know — once you hit a guide on Keyword Lists, you may think to yourself, “Gosh, I also want to know how to port my lists over to my Campaign. Oh, and while I’m here, I’m going to check on my Campaign Settings. And ohh, a guide about setting up Campaigns for subdomains? Don’t mind if I do!” Guide lovers around the world, rejoice! I know that feedback buttons are by no means a new concept in the world of guides. It seems like everywhere you turn there’s a button, a toggle, or a link to let some mysterious entity somewhere know how you felt about this, that, and the other. To leave feedback on our guides, you have to be logged in to your Moz account, so we are sure we’re helping people who engage with our tools, simple but effective. Clicking “Yes, thank you!” ends the journey there, job done, no need for more information for us to sift through. Clicking “No, not really” opens up a feedback box to let us know how we can improve.